Our designer Miss O Kissed graduated with a BA Hons in Fine Arts from one of the UK's oldest dedicated art schools, before moving to the US and beginning her journey as women's wear designer in 2002. Since then she has created costumes and looks for published pin ups, performers, and photographers across the states, and across the pond. Everything from retro threads to period dress. As a performer she understands the unique needs burlesque and aerials require in a costume, meaning not only will your costume look great, it will function the way you need it to too. Please send an email inquiry to custom@bootyknights.com to discuss your ideas. 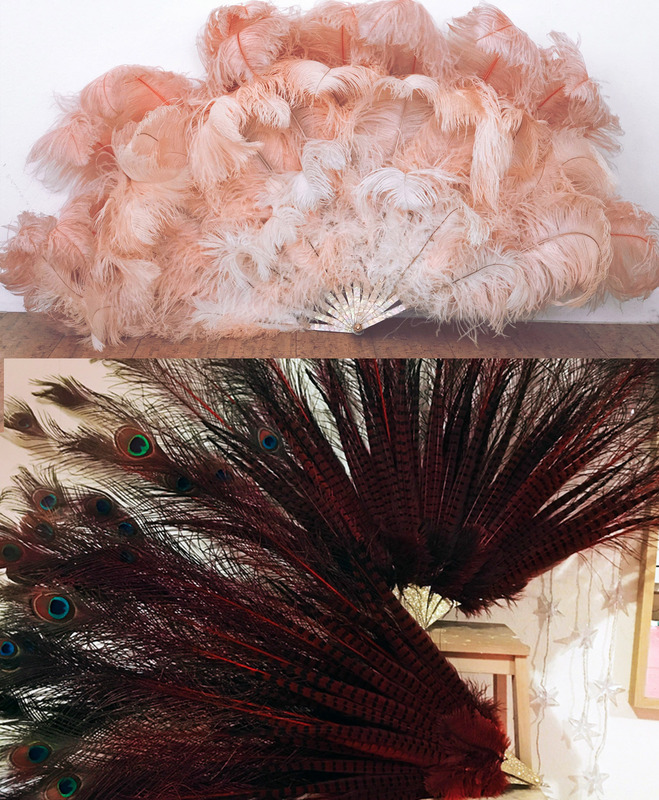 Burlesque fans are an investment, and a pleasure for both the performer and the audience. 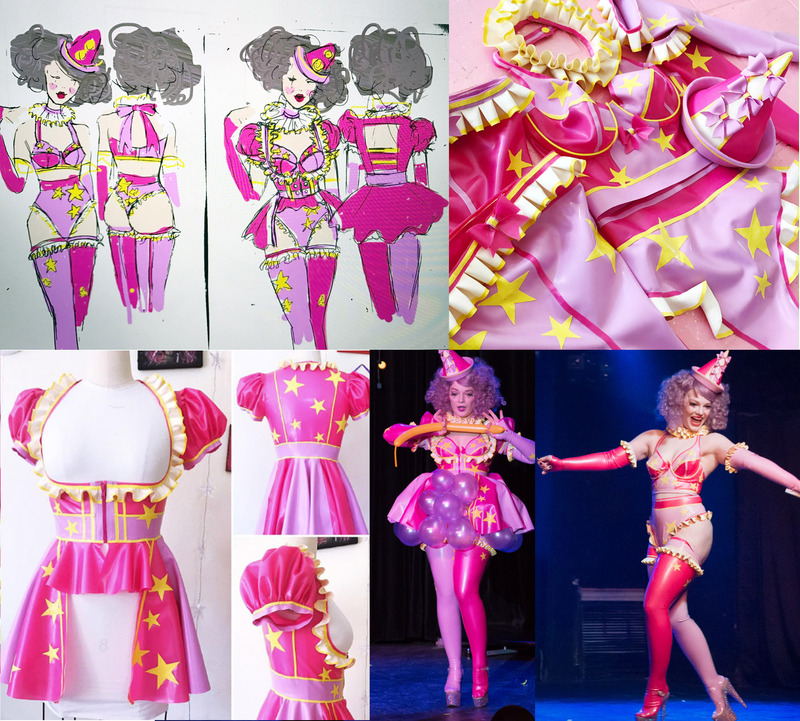 If you are looking for something extra special our designer has a passion for dance fans, and can work with you to create a set that will match your performance needs, as well as your own unique style and character. We are also able to offer upgrade services on fans purchased through us should you ever find it's time for your wings to grow!